The company that owns both Olive Garden and Red Lobster, Darden Restaurants Inc., will be reducing the calories and sodium in its kids meals in an effort to provide healthier options in light of concerns about obesity in children. 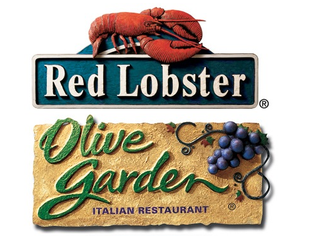 The children's meal announcement covers Darden's Olive Garden, Red Lobster, LongHorn Steakhouse and Bahama Breeze restaurants. Those four brands will each offer at least one kids' meal option that weighs in at less than 600 calories. Darden's other brands are high-end steakhouse Capital Grille and Seasons 52, the latter having no dish with more than 475 calories. "I hope that parents will take full advantage of these kinds of new options," First Lady Michelle Obama said at the company's media event in near Washington, D.C. "Parents, we literally have to put our money where our mouths are ... We have to give (restaurants) the incentive to do the right thing," said Obama, who has made tackling childhood obesity her signature issue. While it is up to the parents to decide what they want to feed their children, for the parents who were previously uninformed about the nutritional value of the foods they were feeding their children at these restaurants, these efforts are a small, potentially helpful step in the right direction.